The good news is if you live in Penobscot or Piscataquis Counties you can get there from here. Need a ride to church? Maybe you need to get to a school concert or a doctor’s appointment. Or maybe you just want to visit a friend, need to get to your job or pick up a few groceries. Marcia Larkin, director of Penquis’ Lynx Mobility Services, said give her a call and she can make it happen – all she needs is three days notice. Customers can make reservations by calling toll free 1-866-853-5969 or 973-3695. Larkin was the guest speaker at the community engagement group that is meeting monthly as part of THRIVE Penobscot’s initiative to link people to community resources. Having safe, reliable transportation is a huge part of maintaining social and financial well being and Larkin said there is no reason for anyone to stay at home. “The social connection is so important to health,” Larkin said. Larkin said Penquis’ many funding sources allow the transit services to help just about anyone 24 hours a day, seven days a week. The only exception is someone in a wheelchair as the wheelchair van is only available Monday through Fridays 7 a.m. to 5 p.m. According to Larkin there are specific grants for low income individuals, those suffering any type of chronic illness, veterans, cancer patients, individuals who are 55 and over and those who are 60 and over. Individuals on Mainecare also qualify for transit services. 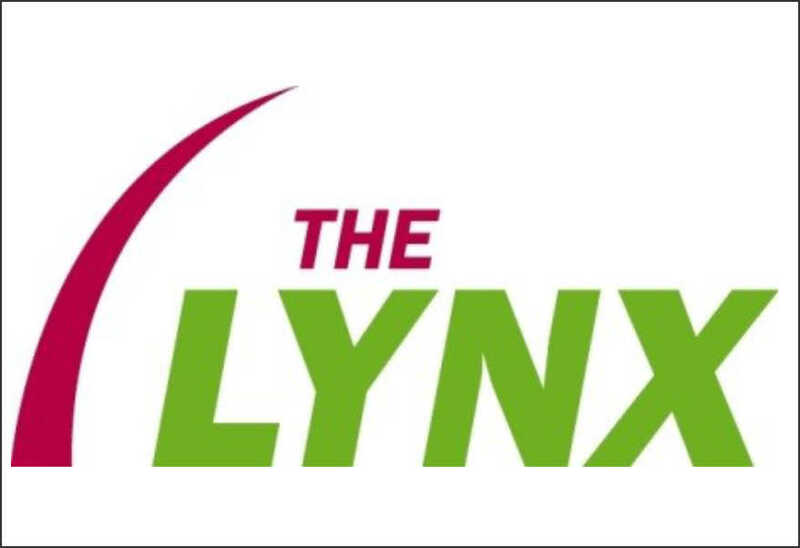 Larkin explained that Lynx uses a fleet of its own vehicles, has a network of 180 volunteer drivers who use their own vehicles and local taxi services where available. She said she has numerous options and the service makes about 1,500 trips daily across the two counties. An application process for some of the grant programs is necessary but she said her staff works with customers to help them, while other grants only require the person be over 55 or chronically ill. There is also a program for those transporting cancer patients for treatment providing a reimbursement of 21 cents per mile to the drivers who get those individuals for treatment. She encouraged individuals involved in doing that call for more information. Customers who qualify with cancer or a chronic illness are also able to bring a support person. Larkin said the only requirement is that customer let the dispatcher know they will need an extra seat for that person. Due to scheduling needs the three day notice is required but Larkin also added that there is a small percentage of “no shows” and cancellations so customers are always encouraged to call in the small chance their request can be fulfilled. Due to allergy concerns and the general comfort of all customers pets are not allowed but service animals are accepted. You must be 18 or over to make a Lynx reservation. Lynx drivers are screened extensively with numerous background checks and Larkin said the department takes great pride in being friendly and as accommodating as possible. She added that customers can call and schedule a regular ride for a period of time so that they don’t have to call every week. The same can be done for weekly grocery shopping or lunch with friends. Potential customers who have a vehicle and/or still drive can also use Lynx services. Larkin said she has a customer who is independent and drives her own vehicle but uses Lynx on occasion because she wanted to see what it was like and how it worked before she needed it. On the flip side, Larkin said she is always looking for volunteer drivers. Anyone interested can call her at 1-866-853-5969 or 973-3695. She said drivers can pick their own schedules and are reimbursed in vehicle miles (as opposed to passenger miles) at 41 cents per mile. Although Lynx services have been around for decades, Larkin said there is still a lot of education on what the service can do for Penobscot and Piscataquis County residents. She said she’s glad to be part of THRIVE Penobscot’s efforts in keeping communities healthy and said she is there to help with transit needs anyway she can.